Turn right onto 82nd Street going west. Turn right on Knox Avenue. 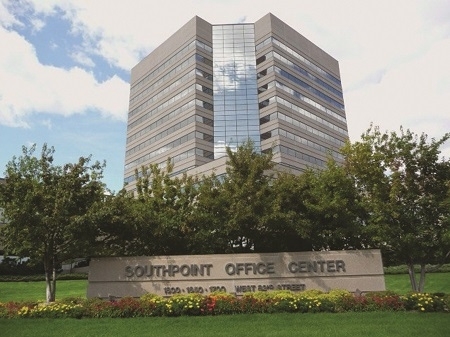 Southpoint Office Center will be on your right side. Turn left onto 82nd Street going west. Turn right onto 82nd Street. Take your first right into the parking lot and take a left when you reach the building and go around the building to the north side and park in the visitor parking spots. Enter the building and take the elevator to the 8th Floor. We are in Suite 850. Continue past the visitor parking spots described above and go down to the lower level of the ramp where there are also visitor spots and an entrance into the building. Take the elevator to the 8th Floor. We are in Suite 850. * Securities and investment advisory services offered through FSC Securities Corporation (FSC), member FINRA/SIPC. FSC is separately owned and other entities and/or marketing names, products or services referenced here are independent of FSC. FSC does not provide tax or legal advice. Terri Bloom and Molly Stoffel are not registered with FSC Securities. This communication is strictly intended for individuals residing in the states of AZ, CA, CO, FL, IA, ID, IL, KY, MD, MN, PA, TX and WI. No offers may be made or accepted from any resident outside the specific state(s) referenced.